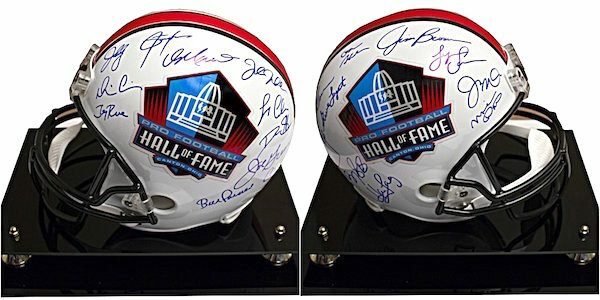 Authentic autographed Full Size NFL Team Legends Helmets are an exciting charity auction item to feature at any auction fundraiser. Choose your favorite team such as the San Francisco 49ers, New York Giants, Dallas Cowboys and many more. All helmets come with a custom designed display case and nameplate. A non-profit fundraiser or charity golf tournament can be elevated to a high-class event with the addition of these unique no risk auction items. Contact Charity Fundraising today to reserve your autographed Full Size NFL Team Legends Helmets for your next charity auction.